Entities that define the points may be copied or inserted into another drawing without wasting links between entities. The saving and repositioning of georeferentiated images can be done correctly also for images that are not evenly rotated and scaled. TopoLT respects now file format „world” ESRI. 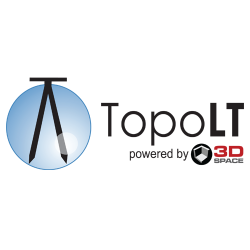 If you have images that have been georeferentiated with TopoLT, images that are not evenly rotated and scaled, we recommend to save them once again with this version of TopoLT. You can use „Copy” and „Paste” for an instrument from the list with instruments from Section – Instruments. You can import files with a defined format in instruments section that contain only: Point name, X and Y. In former versions there could be imported only the lines that contained all 5 values such as: Point name, X, Y, Z and Point code. It has been introduced the possibility to scale blocks that are allocated for grid’s crosses. A new command was introduced in order to interpolate points on 3D plane. A new command was introduced in order to fix the elevations of point to the elevations of the entities that define points (the block allocated for points). A new command was introduced in order to recalculate polylines areas and change the text labels with the new area. Starting with this version for areas obtained by detachment that will change polylines with one of these commands: AutoPct, FixPct, IPCT, InsVx then the areas will be recalculated and will automatically change the text labels. A new command was introduced Mbr in order to break one or more polylines to a point. It has been introduced the possibility of inverting rows or selection from the table from multiple detachments. The loading process of program into CAD program (AutoCAD or IntelliCAD) was optimized. Possibility to draw polygons, paths or points in Google Earth with the assistance of the software TransLT. When using command PUR, if errors occur when calculating polylines areas then through redialing the command errors are avoided. Errors are determined by the way command AREA functions in AutoCAD 2011 in the case of polylines that contain curves that intersect each other. Changing command GEdraw to work properly with TransLT 1.2. Possibility to choose the attribute for the plan scale used to write the plan scale with NrPlan or DrPln commands. Fixed one error that occurred while drawing in Google Earth when the separator character for CSV files was different from the one used in the TransLT program. Improvements made for working in program’s tables. For polar points calculation command, for all tables was introduced a new column with row’s ID. Adapted to work on AutoCAD 2013, BricsCAD V12, ProgeCAD 2011, CADian 2011and ZwCAD 2012. When entering the new points in drawing, manually or automatically, you can choose whether to fix or not the number of decimals of points coordinates. In this way you can avoid the small changes of parcels areas made by this fixing. When calculating volume you can choose whether to draw 3D objects as Polygon Mesh or Solid 3D and in the case of 3D Solids objects you can choose whether the bodies unite to create a single 3D Solid. When changing points under the new configuration points are drawn without being passed through the tables to keep the number of decimals of the coordinates. Adaptation for ZwCAD+ 2012 and 2014, BricsCAD V14 and for AutoCAD 2014. A new section regarding coordinate transformations was introduced at setup options: Transformations Section. Coordinate transformation does not require anymore TransLT program. Starting with this version TransLT library version 3.0 was introduced. 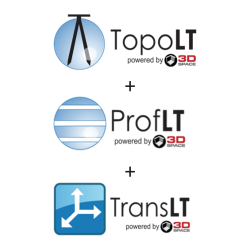 With this library you can transform coordinates using your own transformation models. GEdraw command was changed so that drawing in Google Earth is done directly or the data can be saved to a file. A new command was introduced TrCoo that helps you to transform coordinates of points from drawing, resulting coordinates are saved in a text file. It was introduced the new TransLT library V3.1 that now supports the time-dependent transformations, supports a new type of grid file, two new projection methods, etc. When saving configuration in file now the files associated to configuration are also saved, respectively the files with codes, layers, lines and shape. 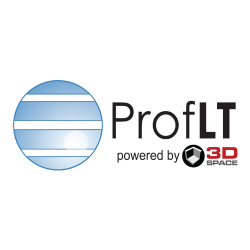 To transform the coordinates and draw in Google Earth, the TransLT version 4.0 library was introduced. When changing the scale of the plan with the TopoCfg command, selecting entities for scaling is made only once. 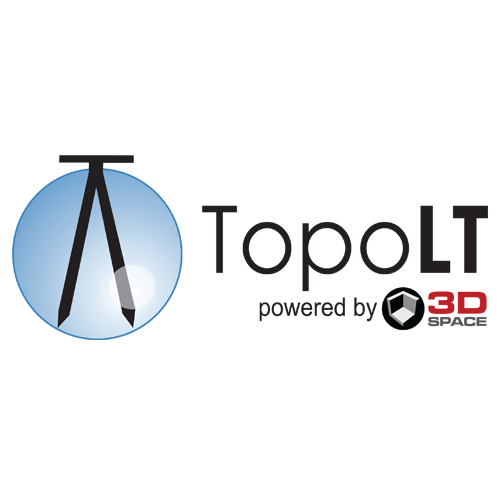 Licensing options for TopoLT include both new licenses acquisition and also upgrades from a previous version to the latest version in order to take advantage of the latest functionalities.